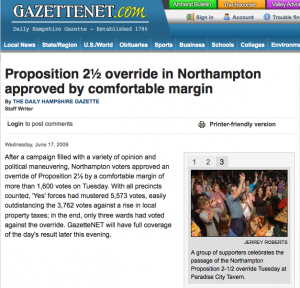 The Proposition 2 1/2 override was overwhelming supported by the citizens of Northampton. 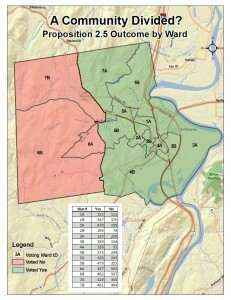 The Vote Yes Northampton site enthusiastically shares the results by voting ward in table format. A similar table (may not show in link) was reported in the Daily Hampshire Gazette. However, mapping the data tells a different story…. 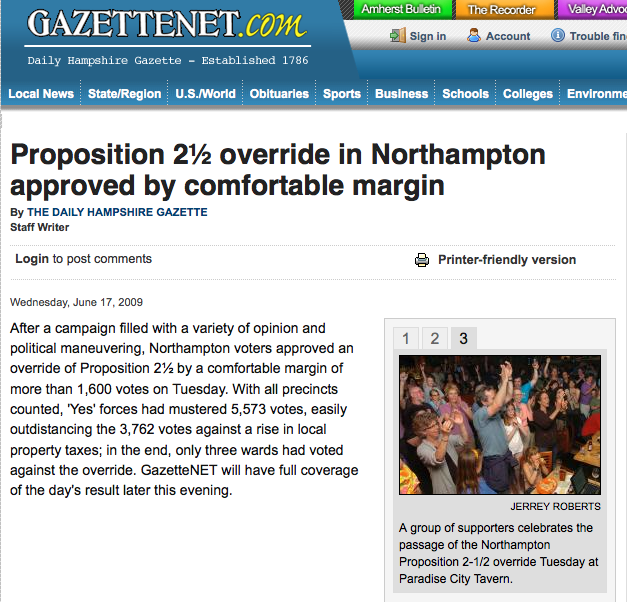 I’m not a resident of Northampton, so I cannot offer any insight into the voting pattern. 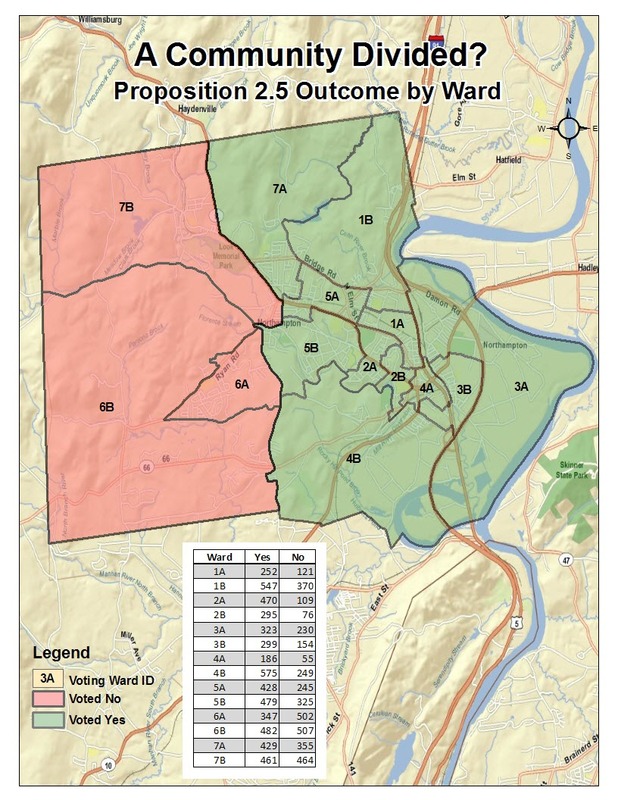 But, it is clear that the more suburban rural wards in the western part of town did not vote with the majority. Just another missed mapping opportunity or maybe a more interesting story to tell.